Democrats split after Buchanan decides not to run. 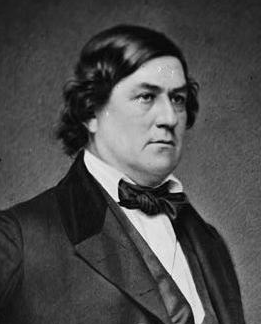 "I do not admit the fact that there is a better Democrat on earth than I am, or a sounder one on the question of States rights, and even on the slavery question... I am not seeking a nomination. I am willing to take one provided I can assume it on principles that I believe to be sound; but in the event of your making a platform that I could not conscientiously execute in good faith if I were elected, I will not stand upon it and be a candidate." 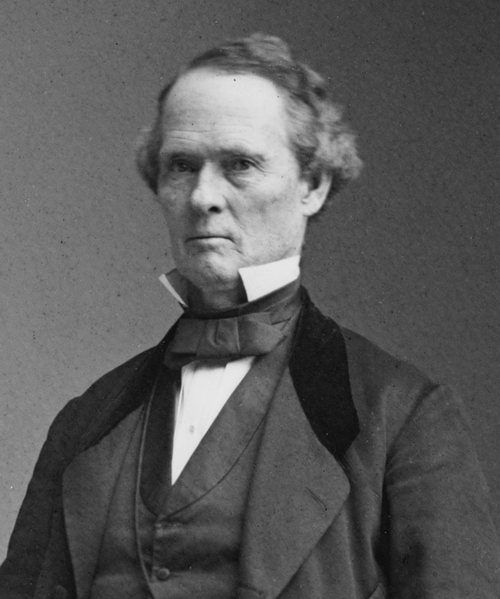 Democrats were divided on the issue of slavery. 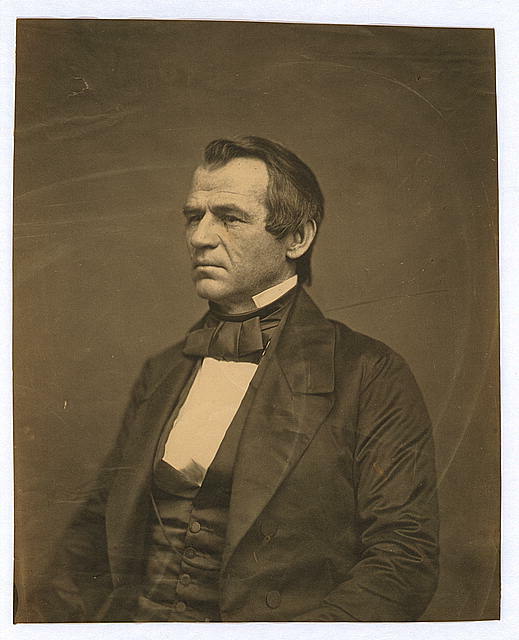 Douglas' faction wanted popular sovereignty to avoid choosing a side, and the Southern faction stood by the Dred Scott decision, wanting the ability to spread slavery anywhere. "I think his nomination possible; but that the chances are against him." Prominent candidates for the Democratic nomination at Charleston, S.C.
Click on each candidate's portrait to enlarge the image and to display his name and title. The convention began on April 23, 1860, in Charleston, South Carolina. After a week of inconclusive ballots, eight Southern delegates left. The convention chairman ruled that two-thirds of the original 253 was still needed, not just of those delegates present. 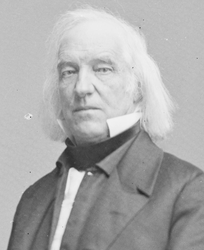 Thus, Douglas couldn't win the nomination after 57 ballots. The convention decided to adjourn and try again in Baltimore in six weeks. "Democrats began their meeting in a foul mood: reaching Charleston required several changes of trains for delegates, who arrived to find overstuffed hotels, temperatures in the nineties, and steamy, sweaty conditions. 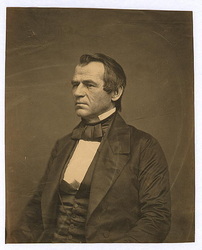 Buchanan allegedly dispatched every federal official he could find to work against Douglas, and some anti-Douglas delegates referred darkly to his loss in the popular vote to Lincoln in the 1858 Senate election..."
"Stephen A. Douglas’ idea of 'popular sovereignty'—meaning that white voters in new western states could vote to accept or ban slavery for themselves, was hated by the Free Soil people; but it was equally hated by Southerners, who didn’t want ANY restrictions on where slavery could spread. So when Douglas emerged as the likely nominee of the Democrats, the convention deadlocked, and later, southern delegates peeled away and named their own candidate." The delegates met again in Baltimore, Maryland on June 18. The delegates voted to replace the original delegates from Louisiana and Alabama with pro-Douglas ones. After this, most Southern delegates bolted again. The delegates overruled the chair's decision, winning Douglas the nomination. 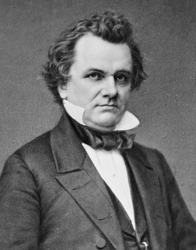 The Southern delegates met down the street, where they nominated Vice President John Breckinridge on the first ballot. 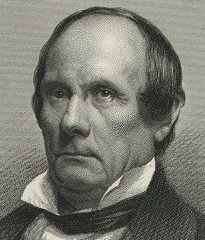 Breckinridge believed that Congress could not do anything to stop the spread of slavery, but was against secession. The Red Wing Sentinel of Red Wing, Montana covers Douglas' nomination on June 27, 1860. Unlike the Republican convention, which approved a platform easily, the platform committee took several days to create three different platforms for delegates to vote on, showing the party's division. Go to "Constitutional Union Party"